As already reported Elbow triumphed in the race to become the Mercury Music Prize winners last night during a swanky ceremony in London town. Going somewhat against the grain of previous winners, Elbow's victory is already proving extremely popular across both critical and fan-o-spheres. After being handed the award for 'Album Of The Year' Elbow frontman Guy Garvey said, "This is quite literally the best thing that has ever happened to us." "It feels great, very unexpected. I suppose you could look at it in the same way that certain Bedouin tribes look at a bowl of milk. It's something that doesn't occur very often, and it's so much sweeter for it." Despite the mickey taking, Garvey is said to be genuinely grateful and quite taken a back by the band's achievement. Highlights from the evening's events will be broadcast by BBC Two on Friday 12 September. The programme will feature the live performances on the night from nominees The Last Shadow Puppets, Adele, British Sea Power, Neon Neon, Laura Marling and winners Elbow. 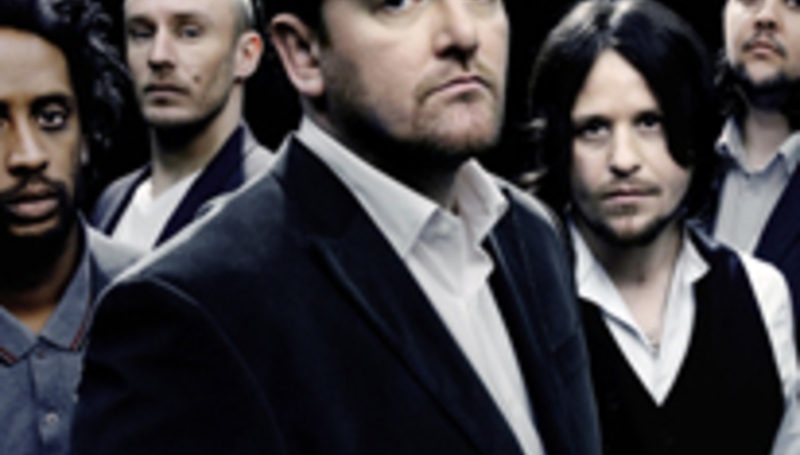 You can also read a blog Guy Garvey has written for the Guardian here.